Krystie Cals obtained her J.D. from SMU Dedman School of Law and her Bachelor’s degree from Texas A&M University. 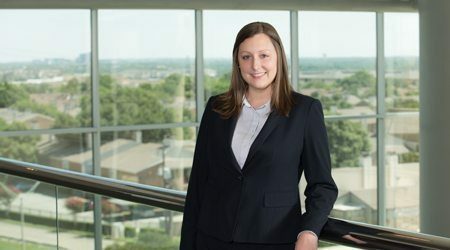 While at SMU, Krystie acquired broad insurance defense experience while clerking for a municipal defense firm. Prior to joining Galloway Johnson, Krystie represented local corporations in the prosecution and defense of a wide range of claims, including breach of contract and landlord-tenant disputes. Krystie focuses her practice in a variety of areas, including commercial litigation and insurance coverage and defense. She counsels clients through all phases of litigation in state courts throughout Texas.